This really is no secret, but lots of rich people tend to love cars. There has always been a huge market for cars of all kind, but especially sports, racing, antique, and luxury vehicles from all eras. Some of the cars intrigue people because they’re a fan of sports or a vehicle may have been involved in a very important period of time, such as both of the World Wars. People love looking at really expensive cars, buying them, and sometimes reselling them in the future for profit. This might sound odd to some of you, but going to an auction was a hobby for quite a few people with that kind of money. Many auctioneers host annual events to raise money for their companies or charities. In this article, we’ll be giving you readers a list of sixteen of some of the priciest cars sold in an auction in various states and countries. There are many records out there and we’re going to mostly talk about the ones that set a world record, but we will mention a few cars from other set records as well. 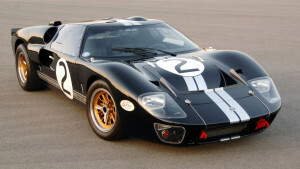 On August 17, 2012, a 1968 Ford GT40 was sold for eleven million dollars in Monterey, California. One hundred and seven of these British-American cars were created between 1964 and 1969 by Ford Advanced Vehicles, Shelby American, and John Wyer Automotive Engineering in both Wixom, Michigan in the United States and Slough, Berkshire in the United Kingdom. During its racing career, it won four international titles at the World Sportscar Championship, or FIA. About five or more versions of this car have been made including the Mk I, II, III, IV, and J-car. On December 10, 2015, a 1962 Aston Martin DB4GT Zagato was sold for $14,300,000 in New York City, New York in the United States. Weighing at 2,760 pounds, the car made its public debut at the London Motor Show in 1960. Twenty five of these cards were produced between 1960 and 1963, including four of the Sanction IIs and two of the Sanction IIIs. The car was designed by Ercole Spada, an Italian car designer. On August 13, 2015, a 1964 model of the Ferrari 250 LM was at auction hosted by RM Auctions and was sold for $17,600,000 in Monterey, California in the United States. The car made its debut in Paris, France in 1963. Between 1964 and 1965, thirty two units were built and one is on display for everyone to see in the Indianapolis Motor Speedway Hall of Fame Museum. On December 10, 2015 in New York City, RM Auctions sold a Ferrari 290 MM for $28,050,000. It was the most expensive car to be sold that year. This car was a race bar built in 1956 meant to compete in the 1956 Mille Miglia, a one thousand mile car race event in Italy. The car, which was driven by Eugenio Castellotti, ended up winning the race. In 1971, Bugatti Type 57SC Atlantic Coupe was auctioned off by a company called Sotheby’s for $59,000. The Type 57SC is one of the most well known kind of Bugatti vehicles. The “S” in its name means “surbaissé” which translates to “lower”. Only two of these types were built as 100% new. On September 4, 1972, Kruse International sold a 1933 Duesenberg Model J Victoria for $90,000. Greta Garbo, a Swedish actress, actually owned the exact car until Kruse International auctioned it off in 1987 for $1.4 million. 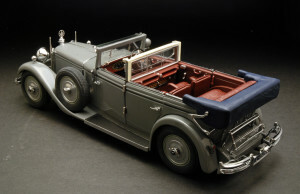 In the year 1973, the 1941 Mercedes-Benz 770 F-Cabriolet was sold to someone in an auction for $176,000. It was auctioned off by Kruse International. Another one was also auctioned off on January 6, 1973 for $153,000 by the same company. 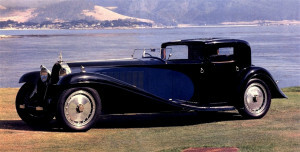 The Mercedes-Benz 770 is a luxury car that was assembled in Stuttgart, Germany from 1930 to 1943. 205 units were made. It has four doors and six seats. The car is very well known for being associated with Nazis, especially Adolf Hitler, before and after World War 2. This car is also known as its German translation, Großer Mercedes. On July 12, 1984, the 1936 Mercedes-Benz 500K was sold in an auction for $1.45 million dollars. It was put together in Sindelfingen, Germany and designed by Friedrich Geiger, an automobile designer in Germany and its production time was two years, starting from the year 1934 to 1936. This car had a much more powerful and much bigger engine than the Mercedes-Benz 380 that the public had learned about just a year before. 342 units of the 500K were created during its two years of production time. The “K” in its name stands for the German word “Kompressor” which essentially translates to “supercharger” in English. 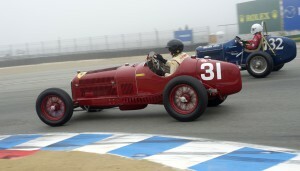 On April 30, 1985, the 1934 model Alfa Romeo P3 was sold for almost $3.5 million dollars by Christie’s. Making its debut halfway through the season at the 1932 Italian Grand prix,this classic Grand prix vehicle was designed by Italian car designer, Vittorio Jano. It was the first Grand prix racing car to have just one seat. The versatility and agility of this car are the reasons it was able to win sixteen out of thirty nine Grand prixs in ‘39. On May 1, 1985, a 1957 Aston Martin DBR2 was sold at an auction held by Christie’s for almost three and a half million dollars. Built in 1957, this sports car, weighing at about 1,765 pounds, was meant for racing and was developed to be a brother or sister to the Aston Martin DBR1 that was built in 1956. The DBR2 made its debut at the 1957 24 Hours of Le Mans. The DBR2 competed in a larger engine capacity group than the DBR1. It was built by Aston Martin Lagonda LTD and designed by Ted Cutting, a British auto engineer. Kruse International, based in Indiana, sold the 1931 Bugatti Royale Berline de Voyage on June 15, 1986 for $6.5 million to Houston citizen, Jerry Moore, who sold the car himself for $8.1 million. On November 17, 1987, Christie’s auctioned off the 1931 Bugatti Royale Kellner Coupe for $9,800,000 to Swedish man Hans Thulin who eventually also sold it to someone else. It’s unknown who currently owns the vehicle, but rumours say the Kellner is owned by Lukas Huni, a Swiss broker. 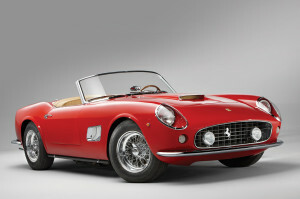 On May 18, 2008, the 1961 Ferrari 250 GT SWB California Spyder was auctioned off by RM Auctions for almost $11 million. Fifty of these babies were made before they were discontinued in 1960 and replaced by the 250 GT Berlinetta SWB. The materials used to make the cosmetic parts of the car were aluminum and steel. Aluminum was for the doors, hood, and trunk lid and steel was for the rest of the car. Sergio Scaglietti made this car to be his own vision of the 250 GT. On August 21, 2011, the 1957 Ferrari 250 Testa Rossa was sold for a little over $16 million by Gooding & Company, who sold more than $78 million in cars, at the Pebble Beach auction. On May 17, 2009, another one was sold for a little over $12 million by RM Auctions. This car, very similar to the Ferrari 250 family, was in production from 1957 to 1958 and only thirty four of them were made from 1956 to 1961. Its name translates into “red head” and the name was inspired by the colour of the paint that covers the valves on the engine’s cylinder heads. It’s a very expensive car now, but in 1965, they frequently were purchased for just $4,000. On July 12, 2013, a 1954 Mercedes-Benz W196 was auctioned off by Bonhams Auctions for almost $30 million. 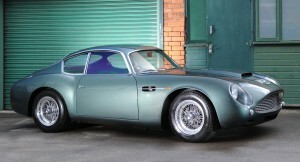 It was sold at Bonhams’ Goodwood Festival of Speed event. 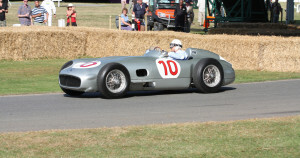 This car was part of the Formula One category and was designed by Mercedes-Benz executive and engineer Rudolf Uhlenhaut. It made its debut, although a late one, at the 1954 French Grand Prix. It went through twelve races and won nine of them. On August 14, 2014, a 1962 Ferrari 250 GTO was sold in an auction for $38 million. The auction was held by Bonhams Auctions in Pebble Beach, California. It was one of the many cars sold during the week of events that was taking place. 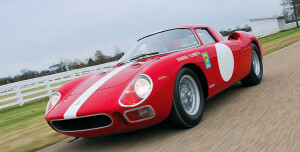 This car was one of the thirty nine 250 GTO’s that was built between 1962 and 1964. The Ferrari is a sports car designed by Italian auto engineers Giotto Bizzarrini and Sergio Scaglietti and was designed to be used for GT racing.